Fine drawings with repetitive patterns are fascinating. 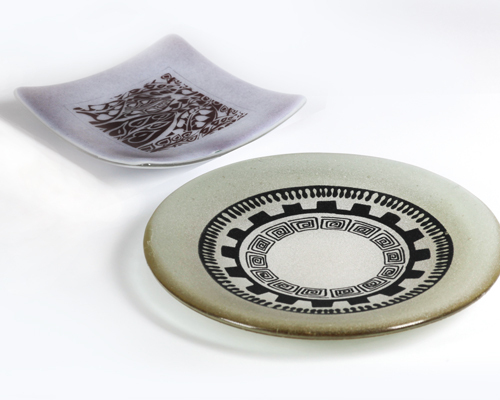 In this class students will learn how these popular motifs can be transferred onto glass. The main medium is Color Line Paint, which will be applied using airbrushing as well as screenprinting techniques. An additional special effect is created by combining the paints with glass powders. All presented methods can be applied on Bullseye, Spectrum and Float glass. • Glasspowders: Sifting techniques, colour shading etc.